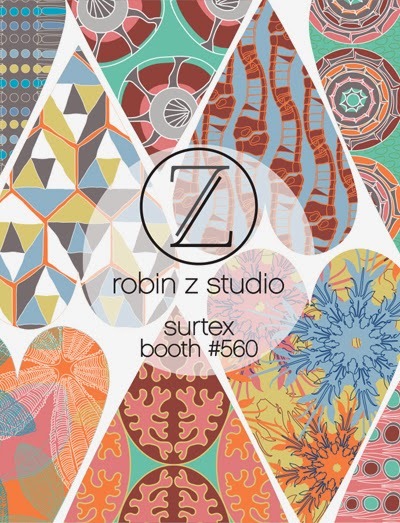 The Robin Z Studio will be at Surtex in booth 560. 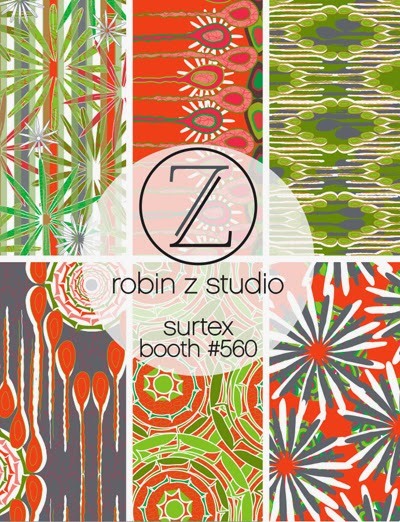 Robin currently licenses prints in the home decor industry and is looking forward to exploring new markets at Surtex 2015. She will be exhibiting numerous new collections and is looking forward to meeting clients to discuss any collaborations, custom work or licensing. 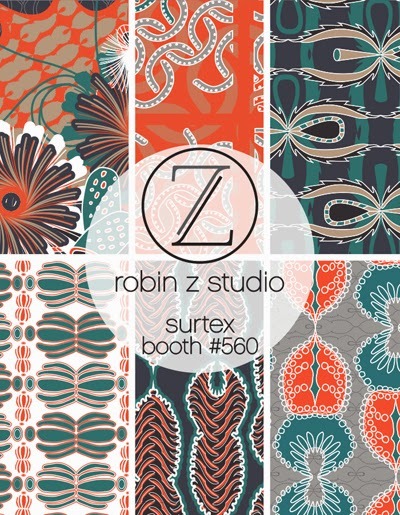 Robin will also be planning a fabulous booth design as she was also chosen for the Surtex Webinar Series earlier this year where she was the presenter of 'Booth Design and Logistics'. Thank you so much for the post Print&Pattern! I love these designs! It's so refreshing to see something unexpected and new! 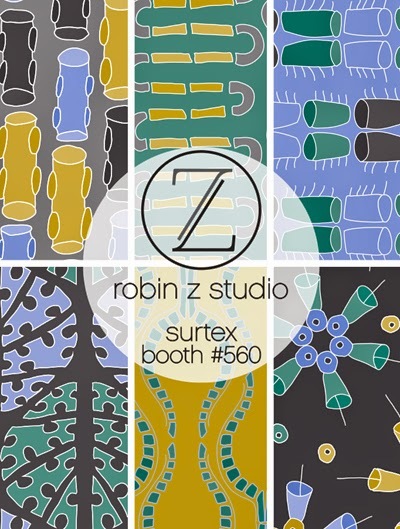 Nice work Robin Z! Great post! 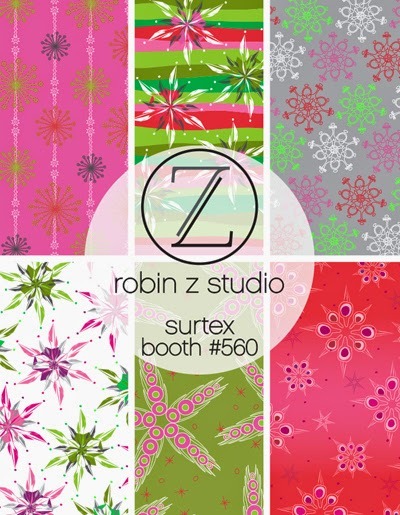 Good luck at Surtex! Thank you AC! and Thank you Dan! Beautiful bold patterns! I look forward to seeing mre!